An immensely satisfying cinematic experience: visually stunning, narratively powerful, and an emotional whirlwind. Best Aussie film of the year. 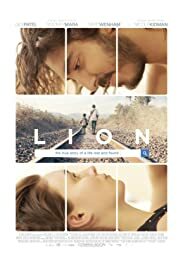 If film-art is the pursuit of visual pleasure, powerful storytelling and high emotional impact, then Lion (2016) is the year's high-water mark for Australian productions. Based on the novel A Long Way Home (2014), this film adaptation is a richly textured essay on the primal human need for belonging that will resonate with anyone who has ever wondered who they are. This true story is told in two parts and filmed across two continents. Five year-old Saroo is a ragamuffin sidekick to his older brother Guddo, two poor boys who support their family by stealing coal and scavenging trains in their West Bengal village. They become separated one night and Saroo finds himself alone on a train heading to the other side of India. He he joins hordes of homeless children who must fend off predators while begging to survive. Eventually he is placed in a crowded orphanage, then adopted by two big-hearted and childless Tasmanians, Sue (Nicole Kidman) and John (David Wenham). 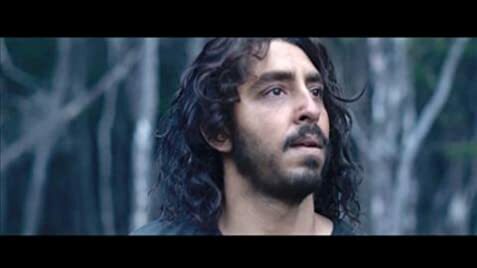 Twenty years on, Saroo (Dev Patel) begins to have memory flashbacks of his native land. As they increase in intensity, he becomes obsessed with finding his family. With some luck and Google maps, the story comes full circle. There is so much that makes this film stand out. The storytelling is more than engaging: it is so captivating that the two-hour run-time feels like an hour. Acting performances are outstanding: Nicole Kidman is at her best while the five year-old Saroo (Sunny Pawar) is the heart of the film and Dev Patel its soul. The cinematography is brilliant, especially the filming in India. The camera-work is both expansive and intimate, shifting often from sweeping aerial panoramas of mountainous Indian countryside and tranquil Tasmanian waterways to narrow winding alleys, village markets, and the inner-world of Saroo's turmoil. Some of the most powerful scenes are shot from the eye-level of a terrified lost boy jostled by masses of humanity and the close-ups of Saroo's painful face desperate to know home. The colour palette is exotic, sound track emotionally intense, and the directing finds a rhythm that is almost orchestral. This film offers an immensely satisfying cinematic experience: visually stunning, narratively powerful, and an emotional whirlwind. It comes at the end of a very mixed year for Australian film, with some of the world's finest produced but many that are less than inspiring. Lion is one of those films that will appeal to everyone and it has a very long after-taste. It easily tops my film year. 109 of 146 people found this review helpful. Was this review helpful to you?